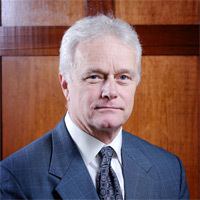 Mr. Kessenich is a Senior Partner and manages the firm’s Admiralty Group. He specializes in admiralty and maritime, commercial litigation and commercial transactions. In his 27 years of experience he has specialized principally in the defense of maritime litigation; both brown and blue water personal injury and death, collision, towage, marine insurance coverage, contractual and charter disputes, dredging and pipeline damage. He has broad experience in maritime commercial transactions, charters and other related areas, particularly with respect to the offshore oil and gas industry throughout the Gulf Coast. He has represented a diverse range of maritime interests in the ocean and inland towing, shipping, oilfield service, stevedoring, terminal operations, offshore construction and dredging industries. He is approved as counsel and coverage counsel for nearly all major domestisc marine insurers both in the defense of maritime litigation and recovery actions through subrogation. He has spoken at seminars sponsored by the Greater New Orleans Barge Fleeting Association on the subjects of marine insurance coverage, contractual indemnity and limitation of liability. Mr. Kessenich received his B.A. from Rice University and his J.D. from the Tulane University School of Law. He is admitted to the Louisiana (1978) and Texas Bars (1994) and in numerous State Courts and Federal District and Appellate Courts throughout Louisiana, Texas and the Gulf Coast Region. He is also admitted to the United States Supreme Court. Mr. Kessenich is a member of the Maritime Law Association of the United States, the Louisiana Association of Defense Counsel, the Mariner’s Club of the Port of New Orleans and the Offshore Marine Service Association.